Gender equality cannot be achieved without the involvement of men and boys. Change is slowly taking place, and men are increasingly working alongside women to support gender equality and the empowerment of women and girls. Today, it is widely recognized that improving women’s status and advancing their rights yields benefits for whole societies, not just women and girls. Ensuring access to sexual and reproductive health services and protection from gender-based violence, among other important measures, improves the health of families and the economic well-being of entire communities. UNFPA works with men and boys around the world to advance gender equality and end violence. These programmes are encouraging men and boys to abandon harmful stereotypes, embrace respectful, healthy relationships, and support the human rights of all people, everywhere. 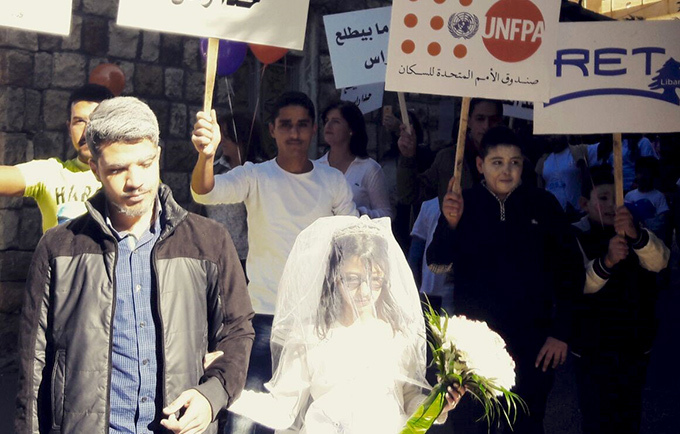 An alarming rise in child marriages has been seen among the most vulnerable Syrian refugee populations in Lebanon, according to a newly completed survey conducted by UNFPA, the American University of Beirut and Sawa for Development and Aid. The survey covered some 2,400 refugee women and girls living in Western Bekaa, and found that more than a third of those surveyed between the ages of 20 and 24 had been married before reaching age 18. 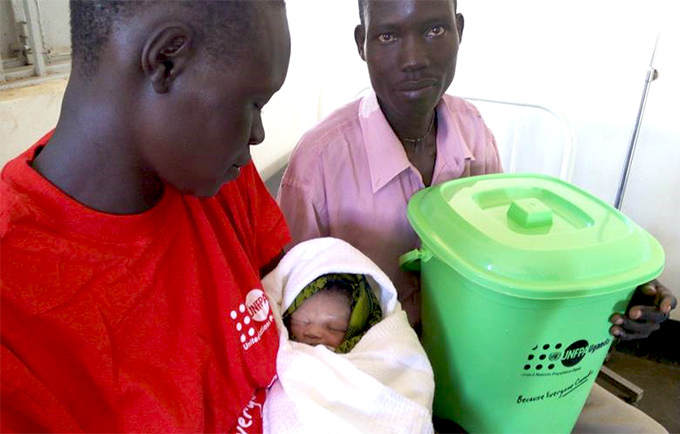 Things looked bad for the family of Flora and Patrick Anduga in war-ravaged South Sudan. The couple increasingly feared for the safety and welfare of their two children – and the baby they were expecting. 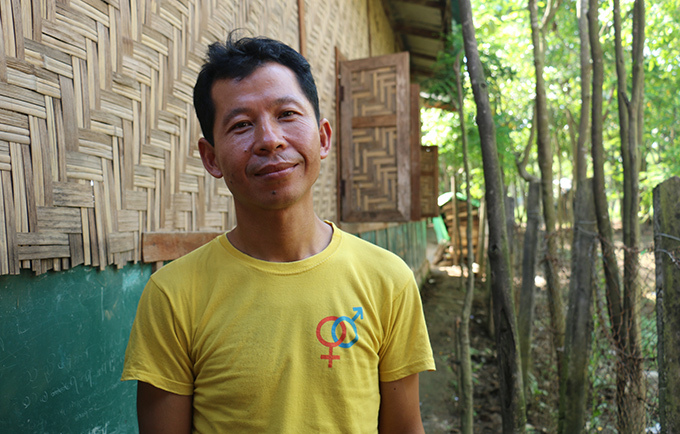 Five years ago, armed conflict engulfed Nam San Yam Village in northern Myanmar, forcing Aung Htwe to flee for his life. Since then, he has lived in the Maina AG displacement camp, unable to return home. Yet even in this safe haven, he sees – and hears – violence all the time. Gender equality requires partnership between women and men. Men often wield power over many aspects of women’s lives – as heads of state and government ministers, as leaders of religious and faith-based institutions, as judges, as heads of militaries and militias, as village leaders, or indeed as husbands and fathers. It is also often men who control access to sexual and reproductive health information and services, finances, transportation and other resources. And too often, it is men alone who make decisions about sexual relationships, the timing and frequency of sexual activity, and the use of contraceptives. Some men even impose these choices through coercion or violence. At the same time, young men and boys are future partners, community members and leaders. Reaching them with programmes that promote gender-equitable attitudes and behaviours is key to ensuring the future is free of gender-based discrimination. Clearly, men need to be involved if gender equality is to be achieved and reproductive health programmes are to succeed. Research also shows that men want to be involved, and that many welcome the idea of mutually satisfying relationships built on trust and communication. UNFPA’s work in the field also shows that male leaders can become valuable allies in addressing reproductive health issues, from maternal mortality to violence against women. Evidence also shows that young men are more receptive than their older counterparts to greater equality. To this end, many UNFPA programmes seek to increase men and boys’ involvement in new initiatives that promote gender equality and women’s empowerment. They aim to increase men’s perception of themselves as responsible, caring, and non-violent partners. They also recognize the diversity of men’s reproductive and sexual health needs, including those of young men, and those who are economically deprived or displaced. Effective programmes also recognize that gender roles and relations are intertwined with cultural, religious, economic, political and social circumstances. They are based on the idea that gender relations are not static and can be changed. Ideas about manhood are deeply ingrained. From an early age, boys may be socialized into gender roles designed to keep men in power and in control. Many are conditioned to believe that dominant behaviour towards girls and women is part of being a man. Risk-taking and aggressive sexual behaviour on the part of young men are often applauded by peers and condoned by society on some level. These stereotypes result in harm to both women and men, and erode possibilities of establishing satisfying, mutually respectful relationships. Boys and young men can be encouraged to reflect upon and discuss issues surrounding masculinity, relationships and sexuality, which can help them to end high-risk and sometimes harmful attitudes and behaviours. Many UNFPA-supported projects emphasize men’s role in reproductive health. Various projects target different groups of men – from soldiers to religious leaders – to achieve different goals, from HIV prevention to greater male involvement in family life. For instance, UNFPA is working with male adolescents and youth to question current stereotypes about masculinity and risk-taking behaviour (especially sexual behaviour) and to promote their understanding of and support for women’s rights and gender equality. 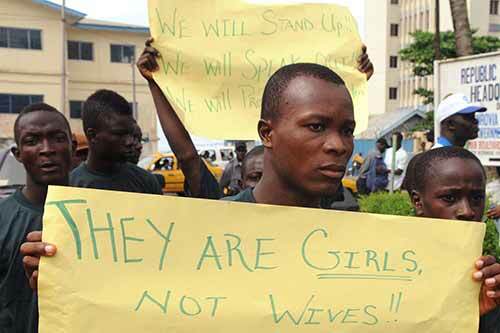 UNFPA also engages men and boys on the issue of gender-based violence. In 2017, for example, UNFPA worked to engage men and boys in Swaziland on preventing violence against women and girls. Similarly in Egypt, UNFPA engaged religious leaders on these issues, while in Serbia and Cambodia UNFPA worked with civil society organizations to engage adolescent boys in challenging harmful stereotypes and values and preventing violence. UNFPA offices around the world, including in Indonesia, Kyrgyzstan and Ukraine, are also engaging men to support sexual and reproductive health and rights, including safe motherhood initiatives, family planning and HIV prevention. And for decades, UNFPA has worked with the military sector to reach out to large numbers of men with information, education and services on family life and family planning.